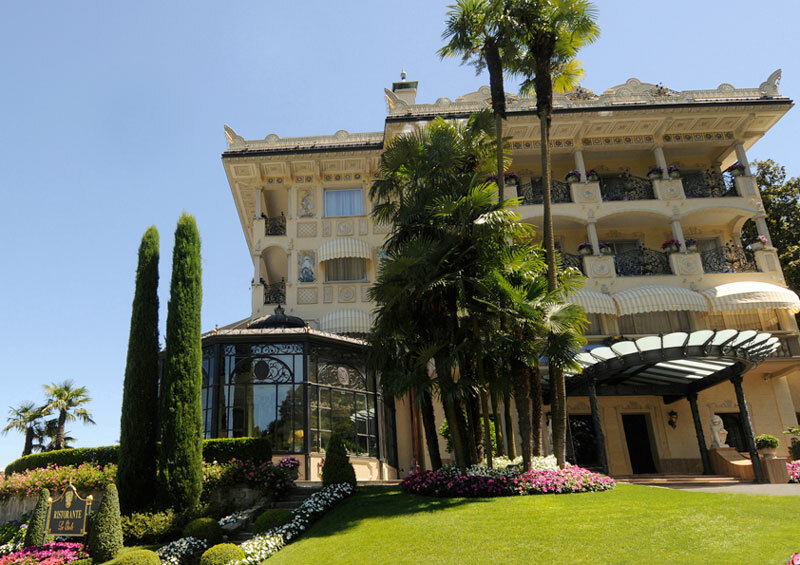 Address: Via Sempione Nord, 123, 28838 Stresa (Verbania) Lago Maggiore - Italy. 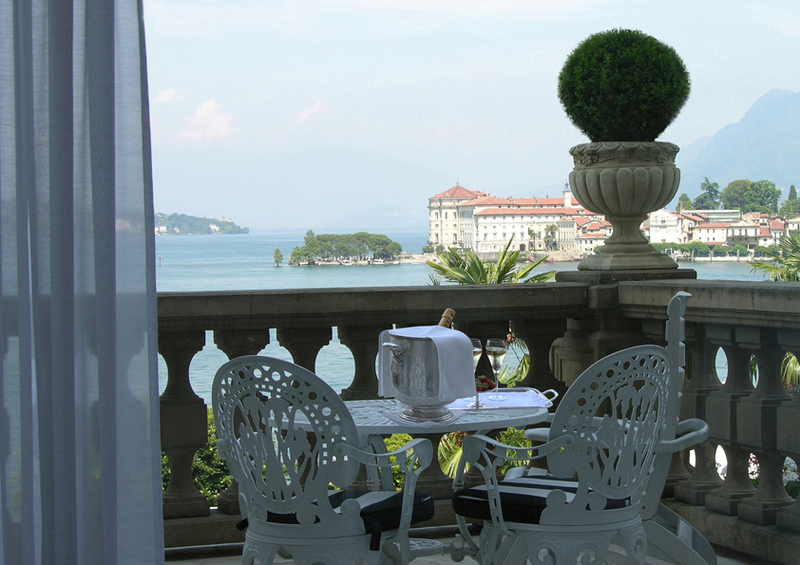 Location: The Hotel Villa & Palazzo Aminta is an elegant early 20th century building, located in the town of Stresa, on the panoramic coastal road that leads from Arona to the Swiss border at Ascona and Locarno. 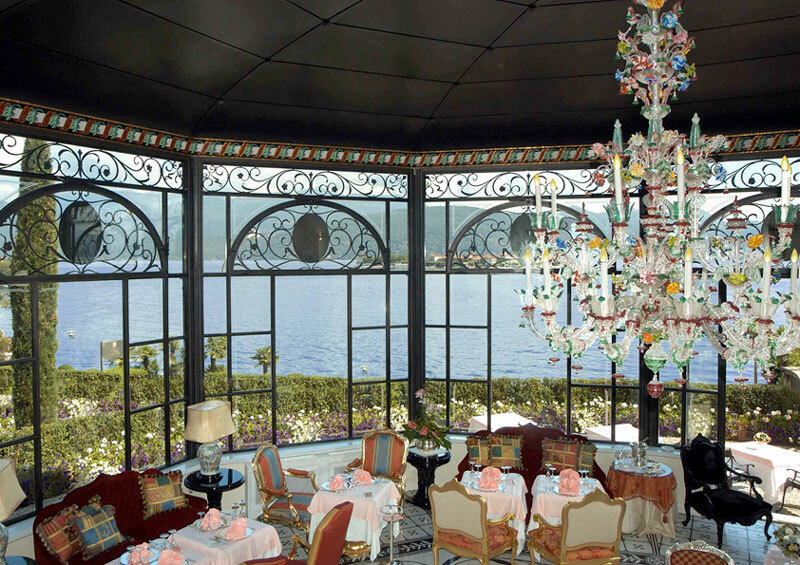 It is an exclusive resort with a privileged location on Italy’s most romantic lake-Lake Maggiore. Description: The dominant sight on the Borromeo Islands and the magnificent Alps that frame the lake are enchanting. Renovated in 2008 with an extremely elegant and refined conception of style, typically Italian, it is ideal for the discerning sophisticated traveler seeking relaxation. 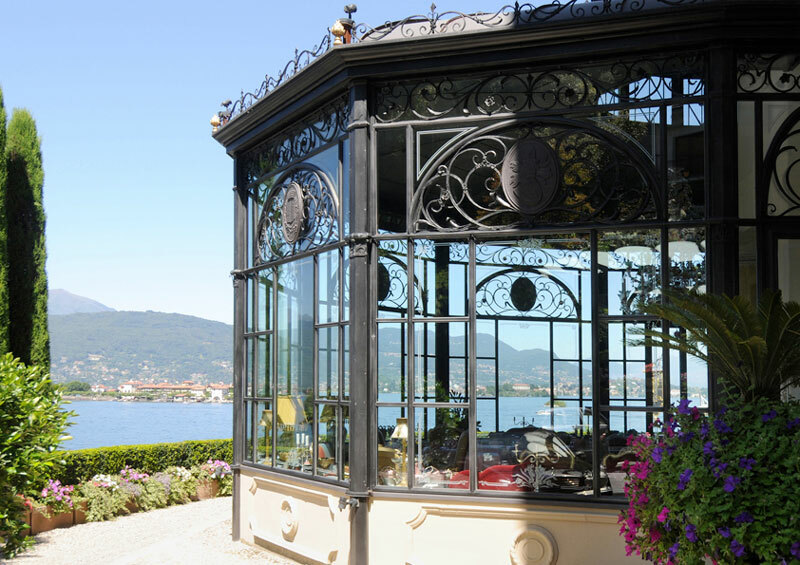 Facilities: The hotel’s dedication to excellence extends to the stellar cuisine presented at "I Mori" the gourmet Restaurant, and the all day dining Restaurant "Le Isole" both with breathtaking vistas over Lake Maggiore and the Islands. Lounge Bar «Dei Principi», open every day, serving by the terrace and the pool, suggests classic cocktails and delicious aperitifs. 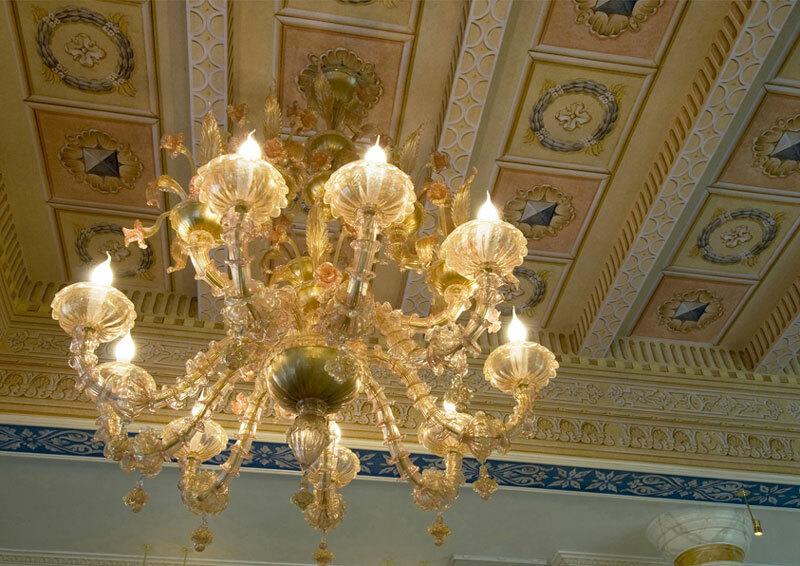 To celebrate special and elegant events Villa & Palazzo Aminta offers: Borromeo Room, facing the garden and the lake, 96 sq.m. (up to 100 people) and the Aminta Room, facing the lake, 40 sq.mt. (up to 35 people). For the enjoyment of all the guests, the Hotel offers a swimming pool with a lake view, private beach and an ancient park for relaxing strolls. 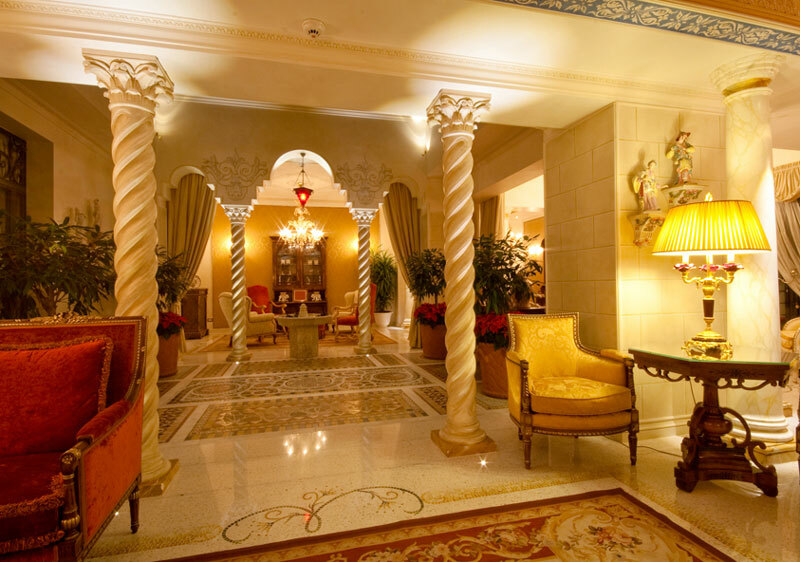 The new well-being area: Palazzo Aminta Beauty & SPA offers exclusive programs to the rebalance the body and the soul. 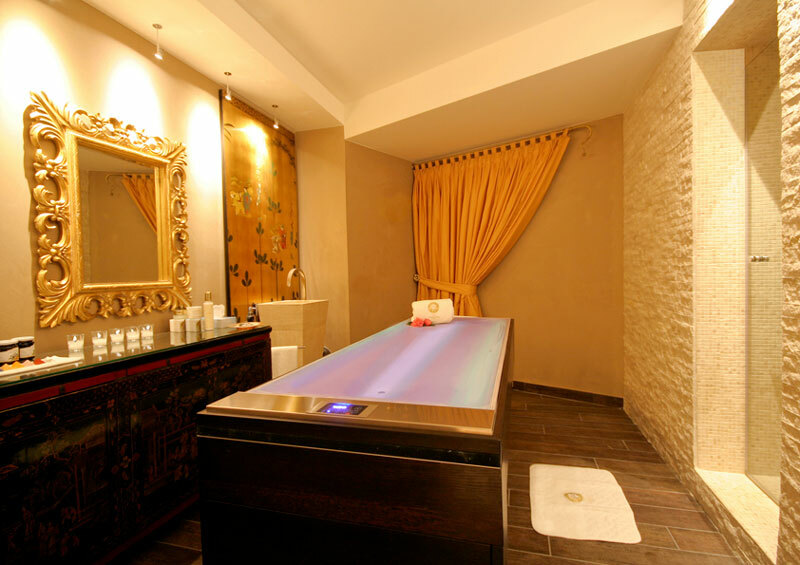 Anti-stress therapies, four handed massage, seaweed therapies, mud bath, hydrating and revitalizing face and body treatments. 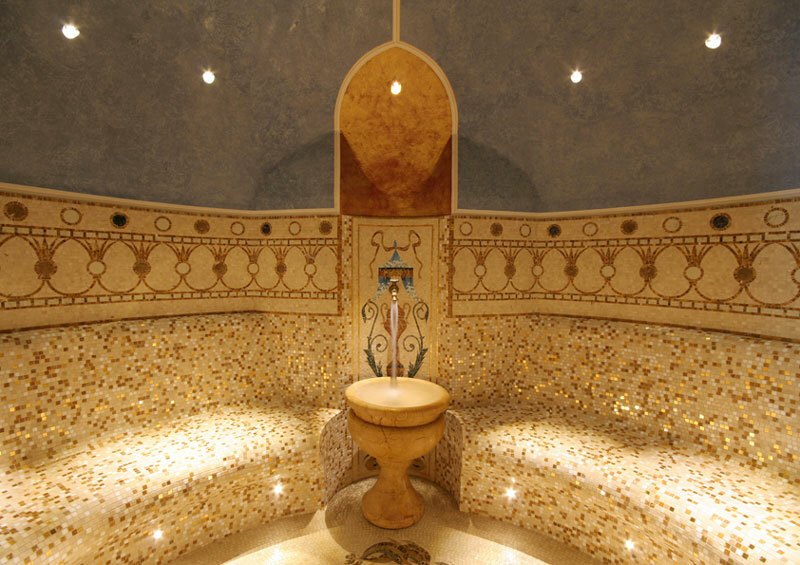 Palazzo Aminta «Grotta» with Thermarium, Turkish bath, Ice waterfall, Aromarium, Sensory and Scottish showers with the alternation of hot and cold water, Whirlpool with geyser jets and Relax area. 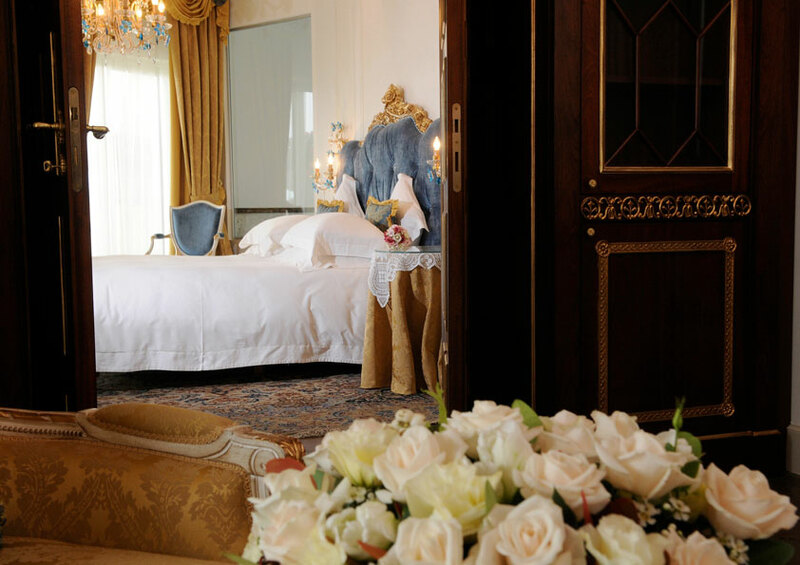 Villa E Palazzo Aminta has 54 Deluxe Rooms, 5 Juniour Suites, 8 Suites. Rooms amenities: All numbers are personalized and unique in their own way, most of them with splendid views over the Lake or the park. 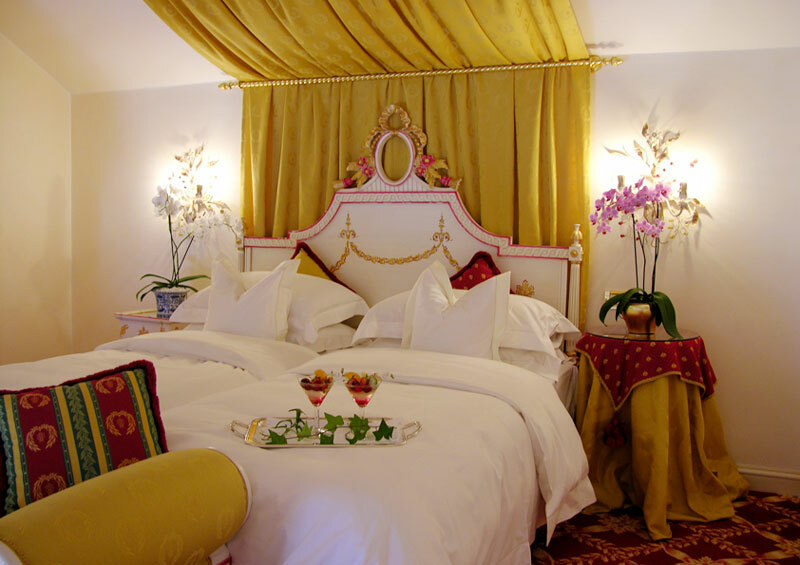 All the Hotel rooms are decorated with frescoes and Murano Lamps, sumptuous fabrics, delicate porcelains and furniture jewels of Italian Style. 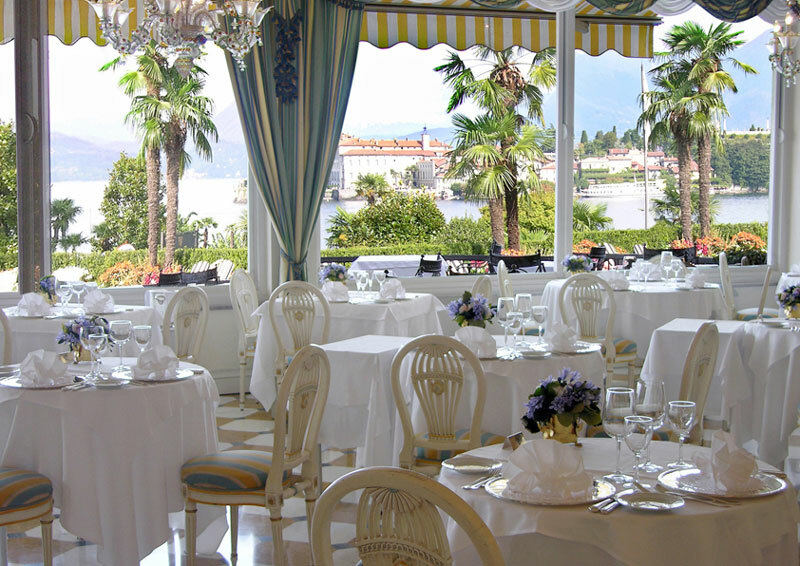 Five stars hotels Lago Maggiore. 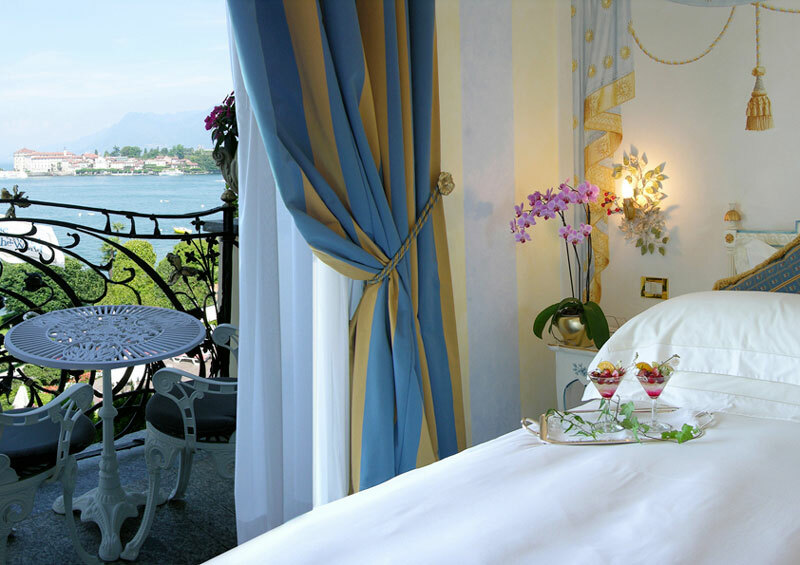 5 stars hotels Lago Maggiore. 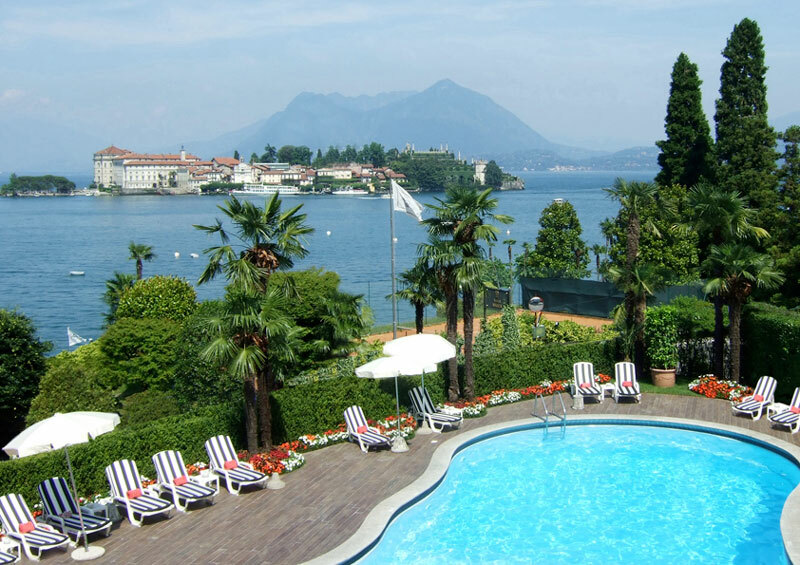 Hotels Stresa. 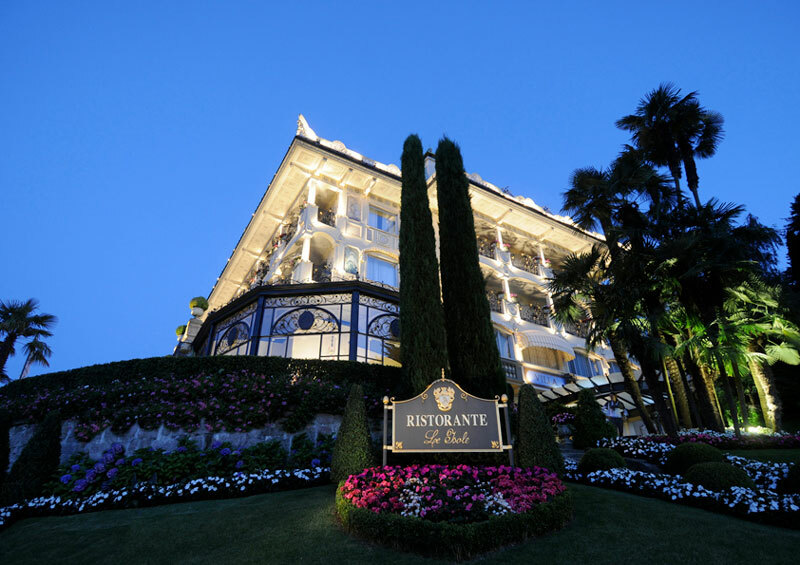 Best hotels Stresa. 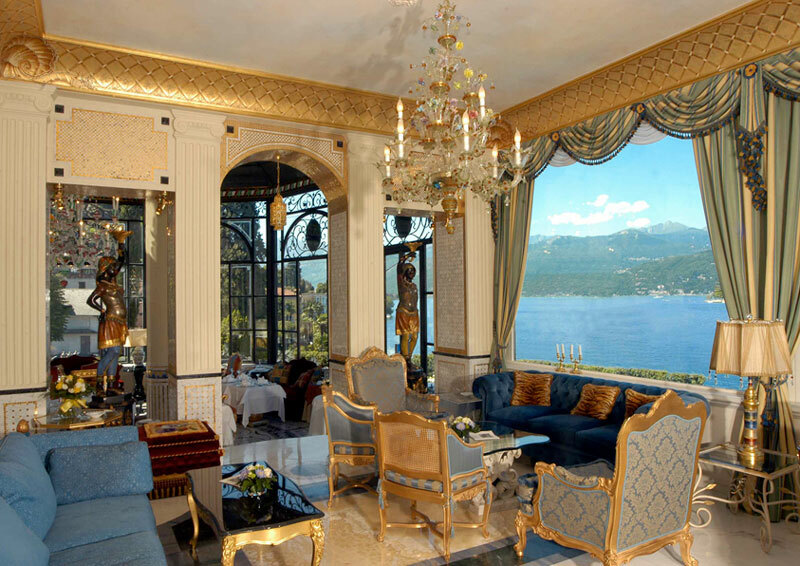 Best hotels Lake Maggiore. Thermarium and turkish bath Stresa. Best golf courses in Italy. Golf courses in Lake Maggiore. I mori gourmet restaurant. Restaurant Le Isole.